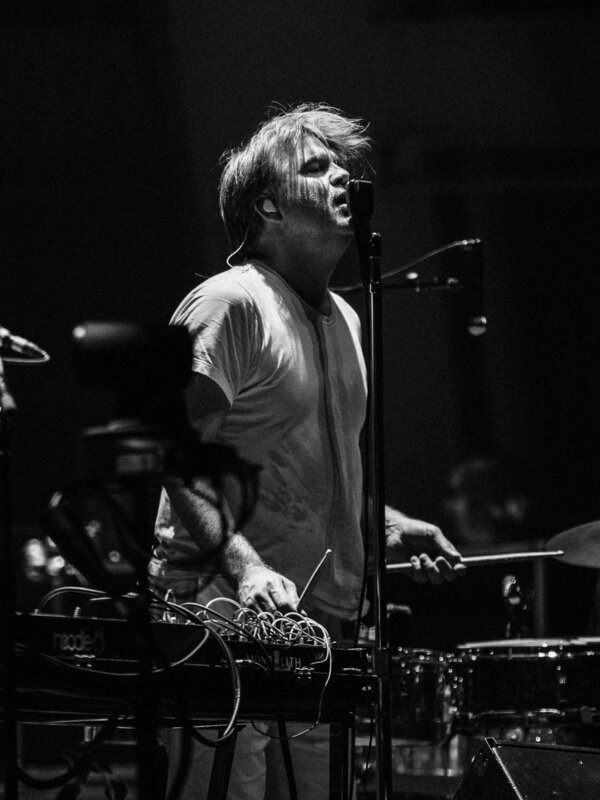 On the second of two nights at the Hollywood Bowl with the Yeah Yeah Yeahs and Young Fathers, LCD Soundsystem brought the dance-friendly sounds of American Dream to the LA masses. Of course, the hits had their moment, too. James Murphy and his cohort worked like scientists in a lab; each at their respective station manipulating their own variables with intense focus, but working for a collective breakthrough. I'd say they found it in the double drop of "Dance Yrself Clean." On a personal note, it took years of listening and a random night spent watching Shut Up And Play The Hits for me to really let LCD Soundsystem under my skin. But under my skin it's crawled and buried and built a home. This was made all the more apparent in what has become one of my favorite moments since moving to LA. Drunk and dancing in a Venice apartment, celebrating a birthday of someone I still don't know, I froze and nearly crashed like the waves outside the front door. I heard them; those pulsing opening synths to "Someone Great." It was late enough in the night that the people still remaining were randomly taking control of the aux cord, and this song happened to be put on by the guitarist of a band I grew up listening to, have shot multiple times, and somehow get to hang out with from time to time. For the next six and half minutes, the guitarist, my photography mentor, and myself were locked in. Unable to do anything but dance and scream along. And that is the power of James Murphy's ranting lyrics and repetitious melodies. The power of a mad scientist. Shot for Grimy Goods. Click the photos to scroll through them large. Film fun will be posted later.